Hawaii’s governor, David Ige, signed a bill banning certain types of sunscreen in the state, starting in 2021. The new bill, passed by Hawaii lawmakers in May, bans certain types of sunscreens that are believed to contribute to the destruction of coral reefs. The state is the first in the U.S. to ban the use of sunblock that contains oxybenzone and octinoxate. Visitors have quite a while to prepare. The ban isn’t scheduled to take effect for another three years, starting on January 1, 2021. At that time, the Islands will cease the sale or distribution of over-the-counter sunscreens containing coral-damaging ingredients and the use of these substances will be prohibited. Visitors will have limited choice when it comes to choosing sunscreen when visiting Hawaii, but there are options. 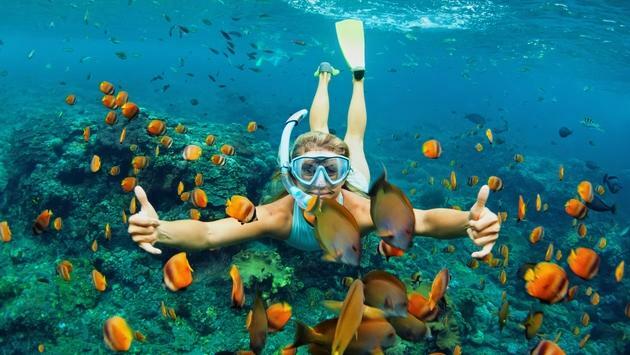 Both zinc oxide and titanium dioxide have been found to not harm coral reefs and are proven effective as a sunscreen. Many organizations have reservations about the ban, saying that it could lead to people not using sunscreen at all. However, the Skin Cancer Foundation is using this as an opportunity to push for innovation and also noted that everyone needs sunscreen, but that sunscreen alone is not sufficient protection from harmful UVA and UVB rays from the sun. Those traveling to Hawaii should bring other forms of sun protection, including protective clothing, wide-brimmed hats, UV-blocking sunglasses, etc. The foundation pointed out that while oxybenzone is one of the few effective forms of sunscreen in the U.S., other more effective ingredients are available in other countries and have been used safely around the world for years. “The legislation in Hawaii emphasizes the need for new sunscreen ingredients and should send a message to the FDA. Innovation in sunscreen formulation will provide the public with more choices for sun protection, potentially leading to a decrease in the incidence of skin cancer,” the foundation noted in a statement on the sunscreen ban in Hawaii. Advancing research for new effective formulas of sunscreen could save coral reefs and lead to better sun protection for travelers in the U.S.